National Green Week – See what schools in Southern Utah are doing! School Green Team programs are important because they teach children stewardship, caring for the earth and to not waste resources. 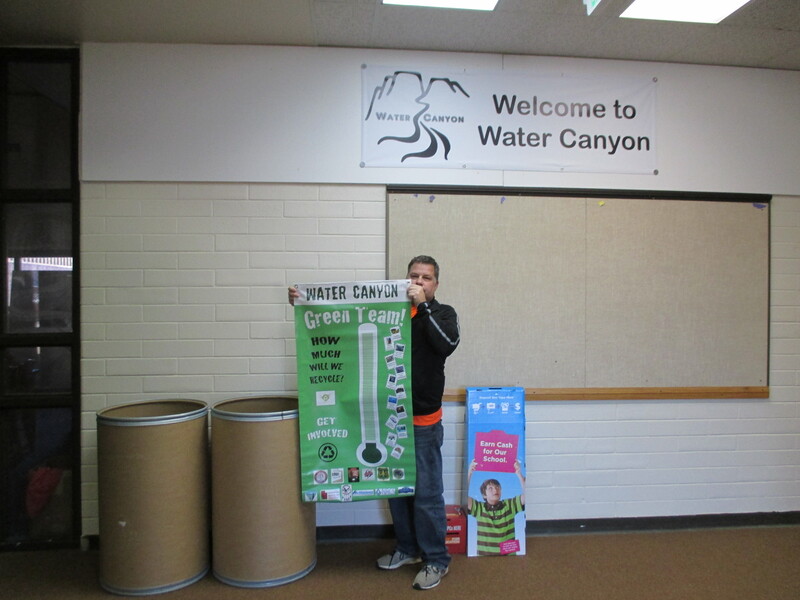 Seven schools in Southern Utah have started Green Team programs this year. Enterprise Elementary, Fiddlers, George Washington Academy, Hurricane Elementary, Iron Springs, North, and Water Canyon. Water Canyon just started their program in December, despite a long list of challenges. 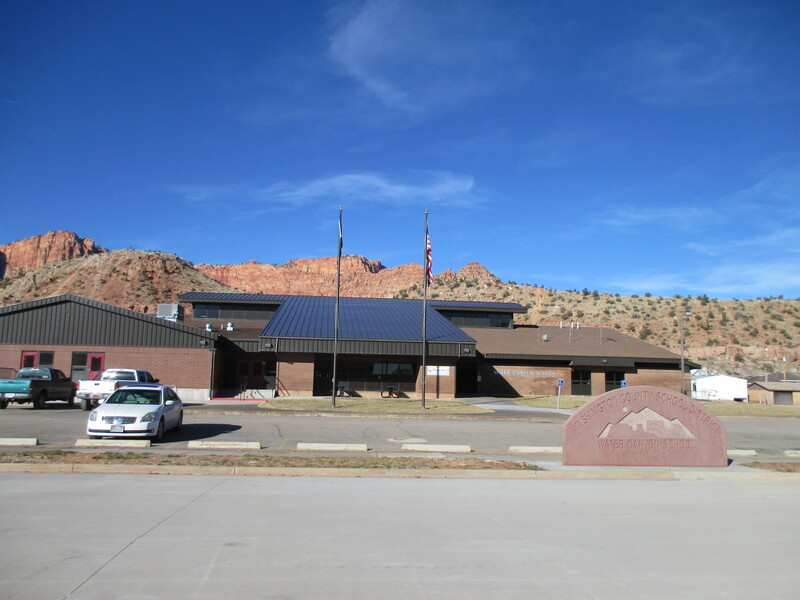 Hildale has not had public education for many years, the building had to be fully renovated, teachers hired and students from pre-school to twelfth grade enrolled within a few months time http://wcs.washk12.org/. Principal Darin Thomas felt a recycling program was important and contacted the Southern Utah Sustainable Operations Partnership. The SOP helped provide the necessary materials and guidance to start their program which is currently underway. Recycling dumpsters are not currently available in Hildale so Principal Thomas himself is taking the recycling to Hurricane twice a month to paper dumpsters there. He is a great example and inspiration because he is doing ‘something’ and as he can testify it doesn’t take much effort to have a recycling program. There are many benefits of having a Green Team program and involving students and parents. Cumulatively over 6,800 lbs of paper has already been recycled by the schools participating. Spring is a great time to create awareness of the importance of these programs. National Green Week starts in February. Many schools are taking advantage of programs like this to celebrate their Green Ribbon weeks and Earth Day which is April 22, 2015. See the National Green Week website for additional information at: http://www.greeneducationfoundation.org/greenweek.html. If your school becomes a GEF member and holds a Green Ribbon week you can receive $250 for your class or school.